50 gram tried and tested universally, the J-Cloth is THE versatile, reliable and effective wipe for your every day cleaning needs. 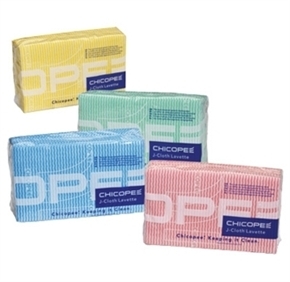 Colour coded and being highly absorbent with excellent dirt pick-up, it is ideal for hygiene sensitive environments. J-Cloth rinses well during and after use so extending its useful life.